By Nwafor Sunday The Independent National Electoral Commission, INEC, Friday declared that it would not give the Senatorial candidate of the All Progressives Congress, APC, Rochas Okorocha, his return certificate until a court of competent jurisdiction says otherwise. 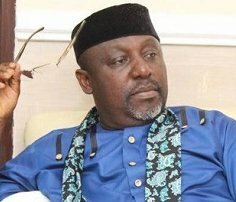 Recall that the governor of Imo state had boasted that nobody has the right to deny him his merited certificate of return and thus went to court. 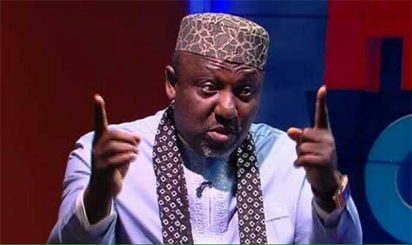 But for INEC, Okorocha was declared winner under duress as claimed by returning officer for Imo west senatorial election Francis Ibeawuchi. In view of the above therefore, Festus opined that; “The position of the commission has not changed. The position of the commission is that we will not issue certificate of return to Governor Rochas Okorocha in relation to the senatorial election. “Since the matter is already in court, the best thing to do is not to prejudge the matter that is in court, but to allow the judicial processes to run through. “If at the end of the day, the court gives an order that we should give him his certificate of return, of course, the commission will obey the order.